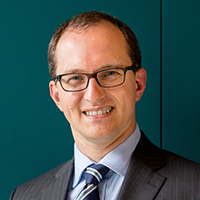 Matthew Bell joined Melbourne Law School as an academic after several years in practice as a solicitor, primarily as a non-contentious construction lawyer. Matthew is Co-Director of Studies for the Law School's Construction Law Program. He teaches construction law subjects in the Melbourne JD and the Melbourne Law Masters. He has also taught the Melbourne JD subjects Contracts and Legal Method and Reasoning and the LLB subjects Contracts, Principles of Construction Law and Remedies and the Melbourne School of Design subject Construction Law. In 2015, Matthew commenced research towards a PhD via the Centre for Construction Law at King's College London. From 2006-14, Matthew was an Editor (including founding Managing Editor) of Construction Law International, the publication of the International Bar Association's International Construction Projects Committee. He has published widely in the field, including being co-author of the books, Understanding Australian Construction Contracts (2008) and Construction Law in Australia (3rd ed, 2011). Upon completion of his undergraduate studies at the University of Melbourne, Matthew undertook his articles at Clayton Utz in Melbourne. He settled in the Construction Group and was appointed Senior Associate in 2000. Matthew consolidated his knowledge in the specialist area of construction law through being in the first intake of Melbourne Law School's Master of Construction Law in 2000. He completed his studies towards the Masters at King's College, University of London in 2003-04. Matthew's primary areas of interest revolve around the drafting and negotiation of contracts for major construction projects. He was able to gain a depth of experience on a wide variety of procurement methods whilst working with clients at Clayton Utz, which was enhanced by two years based in London with the International Construction Group of Clifford Chance. Matthew's experience in London included negotiating and drafting the EPC Contract and associated construction and finance documentation for the Sohar Refinery Project in Oman. This project was named the Middle East Oil and Gas Deal of the Year for 2003 by Project Finance International Magazine. He was also Professional Support Lawyer to the International Construction Group at Clifford Chance. In 2009 and 2016, Matthew was awarded the Building Dispute Practitioners' Society Essay Prize. He was also a Finalist in the LexisNexis-Australasian Law Teachers' Association Award for Early Career - Innovative Teaching Award for 2009. Essays written by Matthew were awarded First Prize (2017), Second Prize (2013), Joint Second Prize (2010) and adjudged Highly Commended (2008, 2015) in the Society of Construction Law (UK) Hudson Prize. In 2012, Matthew was awarded a Citation for Outstanding Contributions to Student Learning in the Australian Awards for University Teaching. In 2017, Matthew was a Finalist in the Academic of the Year category of the Australian Law Awards. In addition to his role at the Law School, Matthew is Professional Support Lawyer to the national Construction and Major Projects at Clayton Utz on a part-time basis. He was also founding Chair of the Academic Subcommittee of the Society of Construction Law Australia and has been since 2010 Chair of the judging panel for the Society's Brooking Essay Prize.